Use our patented, award-winning, Nano-Flow Imaging™ oil immersion particle analysis technology to capture high-resolution images of particles as small as 300 nm in a fluid stream. 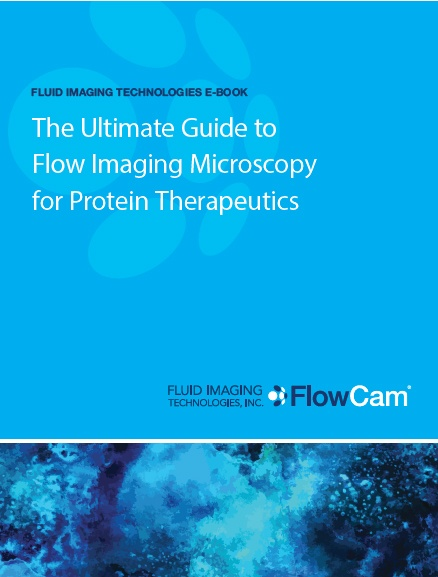 The FlowCam Nano is the first and only instrument available on the market to image nanoparticles in a fluid stream, offering a high-throughput solution to nanoparticle characterization. Our Nano-Flow Imaging™ configuration utilizes a 40X objective and a blue LED light, which creates a higher index of refraction and produces high-resolution nanoparticle images. Combined with our trusted flow-imaging technology and image analysis software, VisualSpreadsheet®, the FlowCam Nano is a powerful tool enabling rapid, full characterization of nanoparticles. Read the blog post about the remarkable first year of the FlowCam Nano. Data can be post-processed using VisualSpreadsheet. Image libraries can be made to aid in machine learning and can run various statistical analyses. Reports can be exported into Excel in CSV format. Visit Nanoparticle Analysis Resources Page for customer interviews, posters, and more. 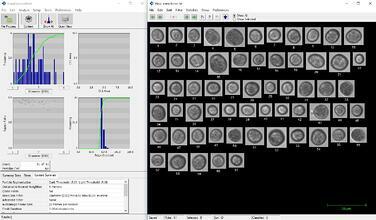 "The FlowCam Nano has given us a lot of insight to smaller sized particles. Everything now in industry is 10 µm or above. You miss out on a lot of phenomena that can occur if you eliminate any particles. Because there's not a push to look at them, not many people are looking at [particles smaller than 10 µm]...If we have the tools and technology, can they give us insight? For our research it's been really helpful. It's shown us how particles and proteins may interact, especially for my project in particular — a pumping study." — Cheng Her, PhD, Post Doctoral Fellow at University of Colorado Denver with John Carpenter, PhD. Watch the full interview with Her on the importance of Nano-Flow Imaging™ for research. For characterization of particles 300 nm and larger. The first flow imaging microscope to extend the limits of imaging below 1 µm using patented oil-immersion technology. Winner of three innovation awards in 2018. Will the FlowCam Nano work for you? Our proprietary software VisualSpreadsheet performs image recognition, particle measurements, statistical analyses, data collection, and enables data manipulation. With VisualSpreadsheet (ViSP), included with every FlowCam, you can create image libraries, digital filters, and use machine learning for auto-classification. View data in ViSP or export to an Excel worksheet. Visit the ViSP page for more information.